Mickey and I just came from a successful art exhibit at The Podium's Galerie Joaquin this evening. 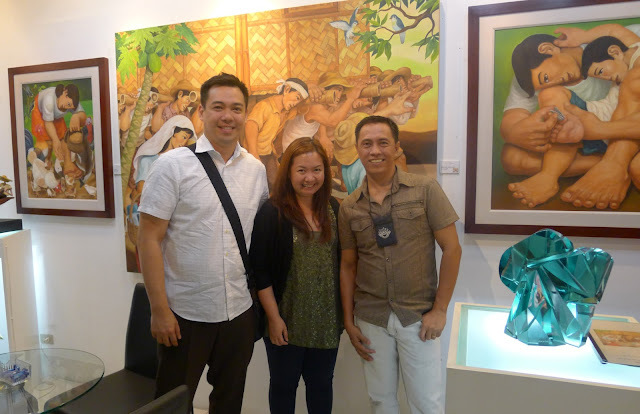 The exhibit is entitled "Filipinismo" and the artist is no other than renowned Filipino artist (and my cousin), Bernard Vista. 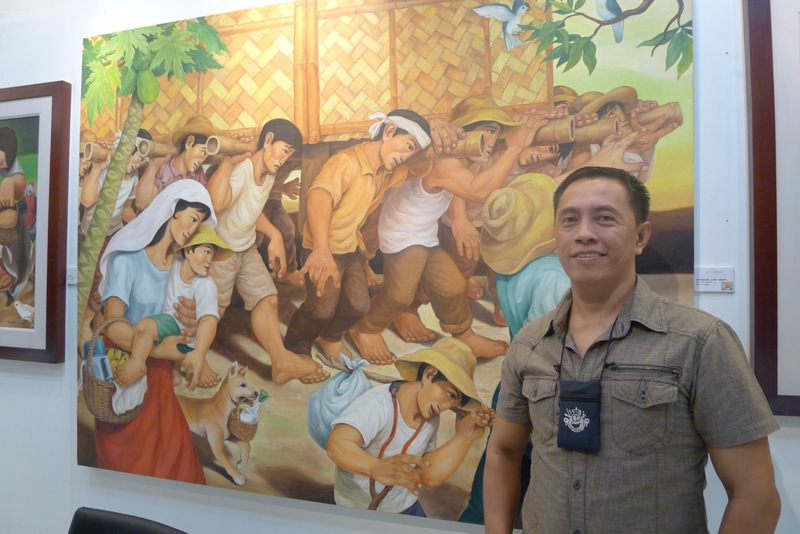 His beautiful works of art depicts the Filipino way of life, highlighting customs, traditions and are inspired by rural scenes. 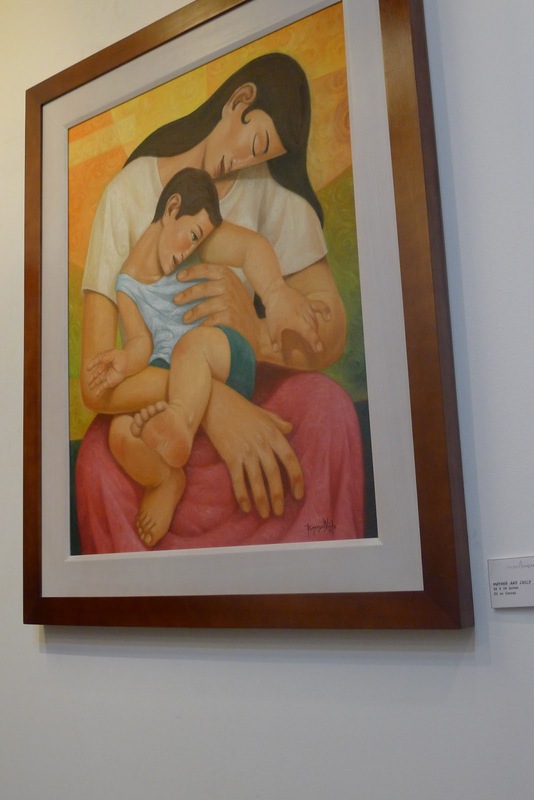 Genre painting is a long-standing tradition in Philippine visual art. 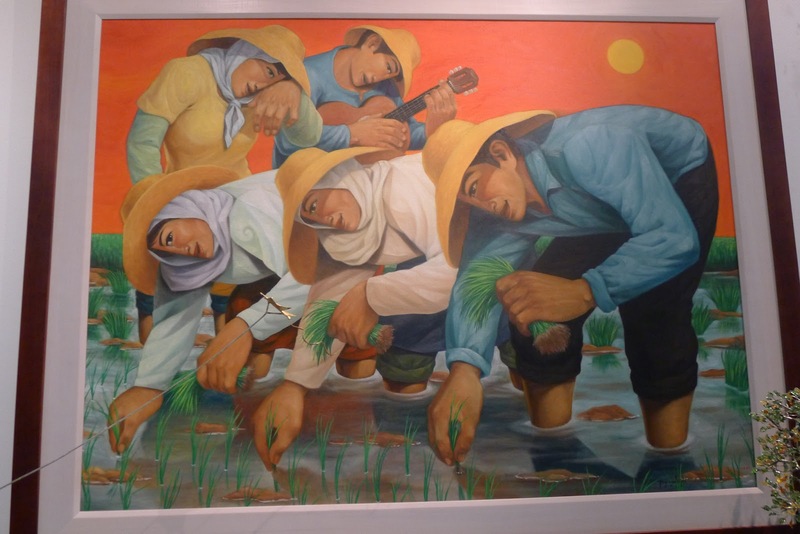 Throughout art history, paintings of harvests, markets and the countryside representing the idyllic Philippine vision have earned the respect of art collectors and aficionados. In the fast paced, rapidly developing economic scenario of today's modern life, a look back at the spirit of the Filipino, hence Vista's forthcoming one man show's title "Filipinismo", is best presented with his vision of quaint and picturesque scenes and characters of the rustic Philippine countryside. In his world, Vista takes the numerous techniques and movements of Philippine modernism from his mentors National Artists H.R. 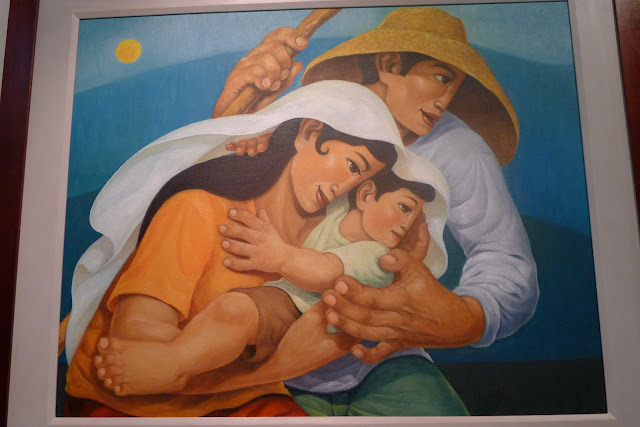 Ocampo and Cesar Legaspi into a contemporary journey of exploration of specific scenes and moments capturing that unique sense of Filipino warmth and optimism via his art. 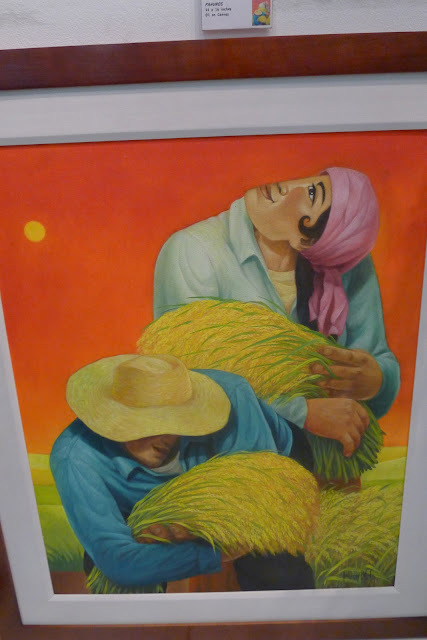 Vista, heir to the tradition of tipos del pais paintings of farm life, is featured in a much-awaited exhibition titled "Filipinismo" which runs March 1- 10 at Galerie Joaquin Podium. 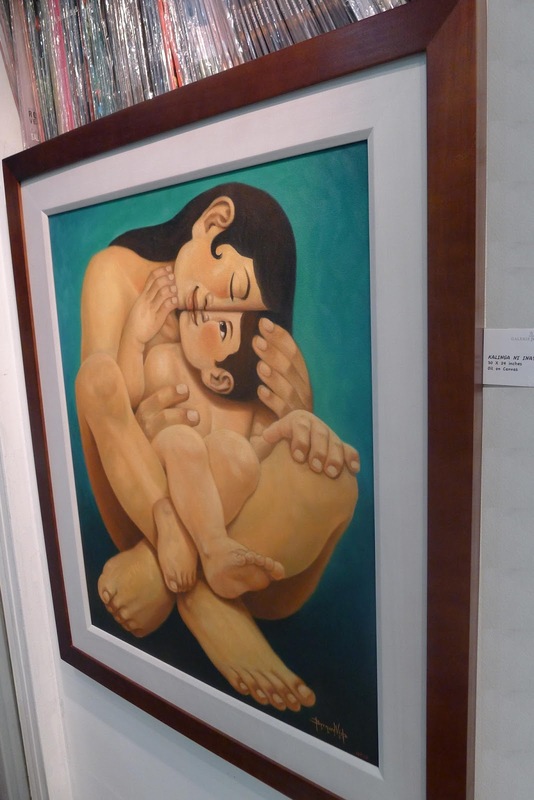 Being one of the Founding Members of the Guevarra Group of Artists, together with Dominic Rubio, Gig and Vincent de Pio and Jerry Morada, Vista has had successful shows at Galerie Joaquin Main and Galerie Joaquin Singapore. He was a resident artist of the Artesan Gallery in Singapore and his works have been included in major international auctions such as the Larasati Auction House in Singapore. 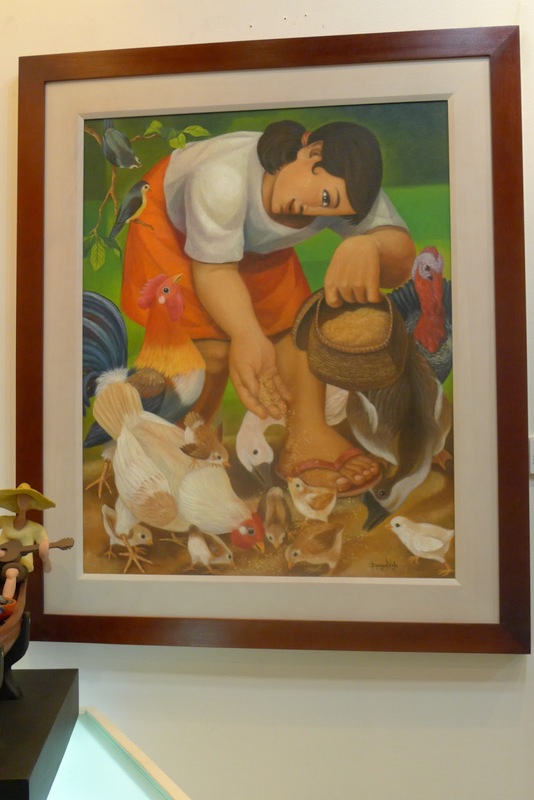 One of Pakil, Laguna's more exciting figurative artists, he gained recognition in the arts for his larger than life depictions of the Filipino way of life, highlighting the rich customs and traditions of Filipinos passed on from one generation to the next. Inspired by the rural scenes of his hometown, he puts on canvas the humble countenance of his people, humanizing the fisher folk and farmers while highlighting their passion for life and their oneness with the bounties of nature. His portrayals of men and women possess that strong glimmer of indescribable peace, contentment and strength of inner spirit. A product of the fine arts program of the University of Sto. Tomas, he was also a member of the Saturday Group of Artists led by National Artist Cesar Legaspi. National Artist H.R. Ocampo handpicked him as a sponsored scholar of the group with a monthly stipend. He was a children's book illustrator and an art director for a publishing company prior to his career as a fulltime painter. 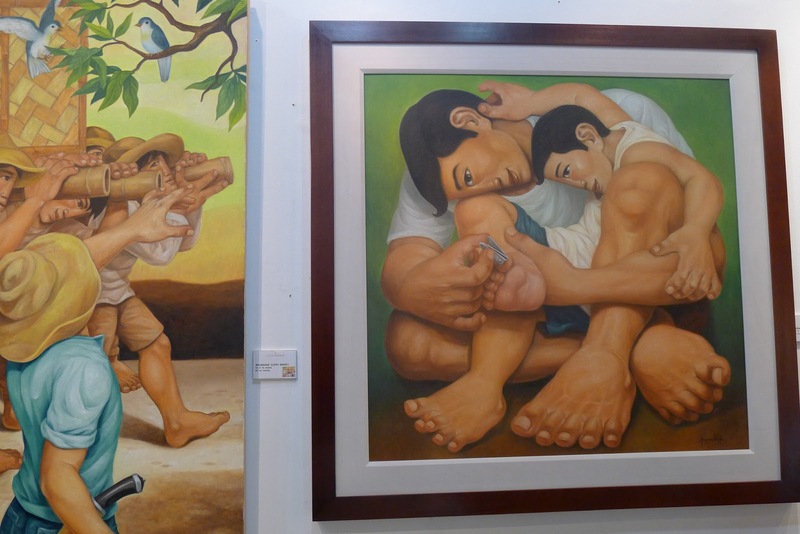 His canvases are living tableaus being acted before the viewer's eyes – a seminal story of bountifulness, prosperity and of Filipinismo. Filipinismo by Bernard Vista will run until March 10, 2013 at Galerie Joaquin Podium located at unit B12-B13, Lower Grand Level, The Podium, ADB Avenue, Ortigas Center, Mandaluyong City. For inquiries on his art call (+63-2) 634-7954.